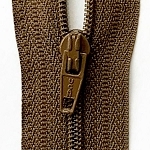 THIS IS NOT Invisible zipper! 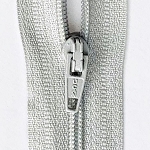 #3 is a standard coil zipper. 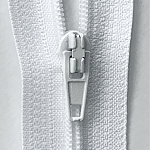 Think dress zippers. 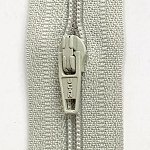 Coil is nylon. 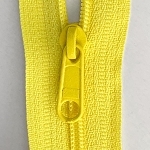 Tape is polyester. 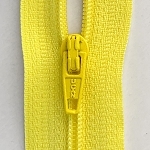 Inherently UV protected. 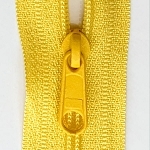 Coil is 3mm across when closed. 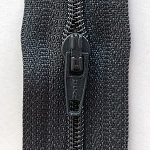 Total width of zipper is just a tad over 1". 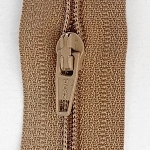 Strong enough for small bags or pouches, apparel, pillows, duvet covers, chair pads but flexible and easy to hide. 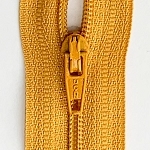 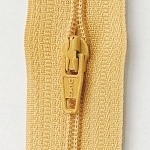 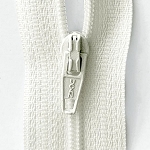 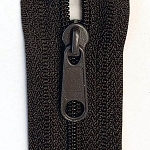 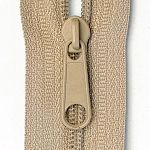 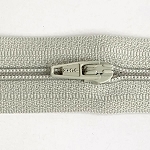 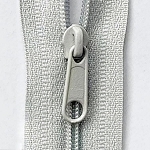 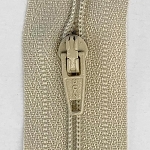 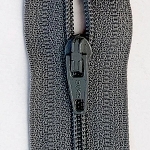 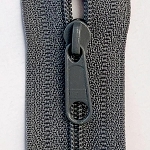 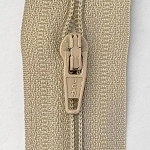 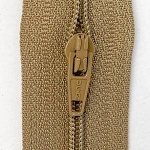 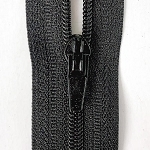 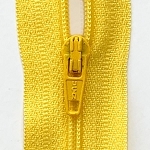 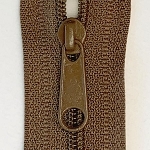 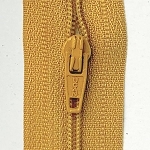 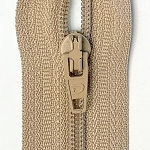 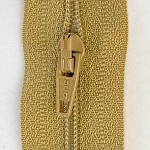 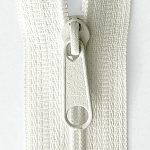 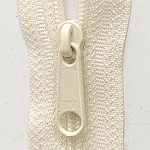 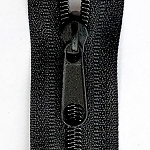 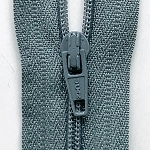 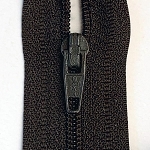 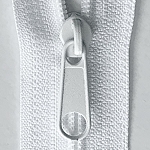 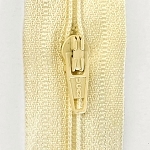 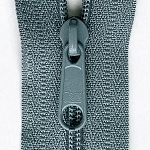 Pulls can be applied to both ends of the zipper tape so that they will meet in the middle, which is called head to head or double pulls, on bags. 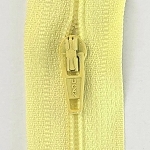 Click on the pictures below to select quantities. 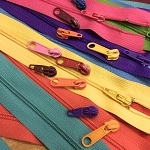 I only stock 91 colors, but can custom dye over 800 to match your project. 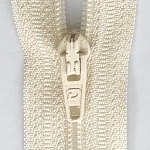 IVORY #3 Zipper - 50 yds.